Cullman, AL is a city of approximately 20 square miles and more than 15,000 residents. Popular for its strong school system, recreational opportunities and low cost of living, the city has been named as one of the best places to live in Alabama. In 2016, officials decided to provide traffic signal preemption to the emergency vehicles across the city. Traffic signal preemption requests are critical to ensuring that emergency vehicles are able to arrive on scene as fast as possible. These systems ensure that the traffic signals are prepared for the emergency vehicle and ensure safe passage through the intersection. In addition to the preemption capabilities, the city wanted the ability to monitor the performance of their traffic signals and install a system that required little to no maintenance. After reviewing a number of solutions, Cullman officials selected the Glance Preemption & Priority System from Applied Information. The Glance Preemption & Priority System utilizes web and cloud based computing to seamlessly combine cellular, radio transmission and GPS technology into one solution. The preemption system from Applied Information utilized a cellular modem and GPS sensors in each vehicle to clear intersections and enable green lights along the path of emergency vehicles. 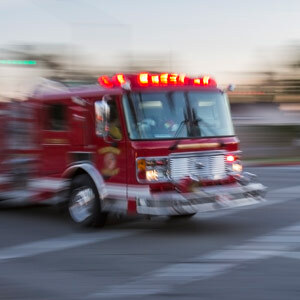 When complete, Applied Information connected 6 emergency vehicles and 12 intersections to the system, forming a Smart City network that powers Cullman’s preemption system. This next-generation preemption system provides the city with complete knowledge of traffic situations and resources at all times and can automatically alert personnel of issues with a traffic intersection with specific details. The system is uses GPS positioning of the vehicle and cellular and radio communications to provide green lights to the emergency vehicles. The simple setup of the system requires no local configuration. Applied Information’s smart city solutions enable Cullman city officials to remotely manage all of the units and through the Glance software platform. Through Glance, they are able to monitor traffic intersections and emergency vehicles. This ensures all intersections are working correctly and are able to provide priority to the emergency vehicles.